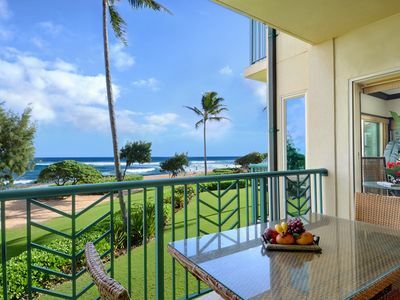 We proudly present our custom designed, one bedroom condominium located on Kauai's Tropical Coconut Coast, the home of Ancient Hawaiian Royalty. 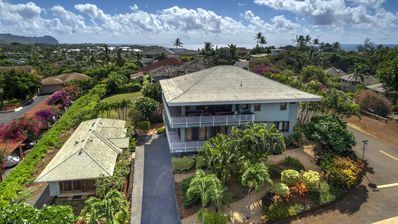 Your private, garden view, very quiet condominium(across from Bett Midler's private Reserve) is located less than 100 yards from beautiful and tranquil Waipouli Beach, with living room, kitchen, and Lanai views of Mystic Sleeping Giant Mountain and Mount Waialeale(The Wettest Spot on Earth). 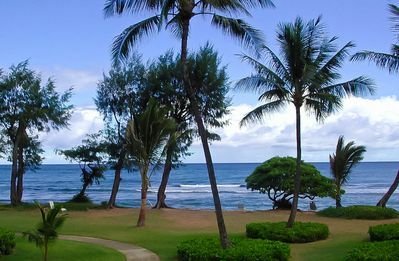 Nestled amid a magnificent grove of coconut trees, your condominium couldn't be located in a better place on the island. 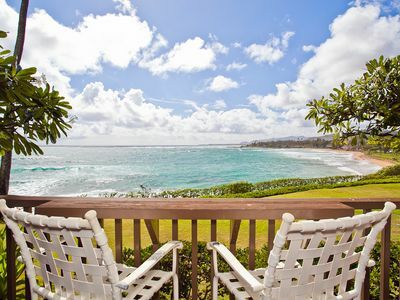 Just 15 minutes from the airport, a short drive to the North Shore and Rain Forests and to the south, famous Poipu Beach(with its natural lava tube blowhole), breathtaking Waimea Canyon(The Grand Canyon of the Pacific) as well as Lydgate park, one of a few beaches with a lifeguard on duty offering swimming and snorkeling in two protected tide pools abundant with Exotic Sealife. 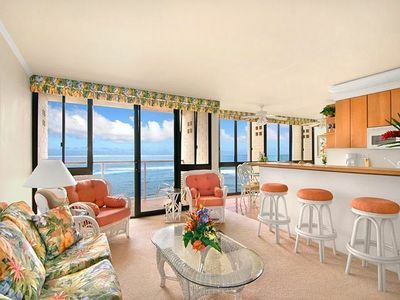 This 1 bedroom 'Aloha' condo can make a fantastic vacation home or long term rental. 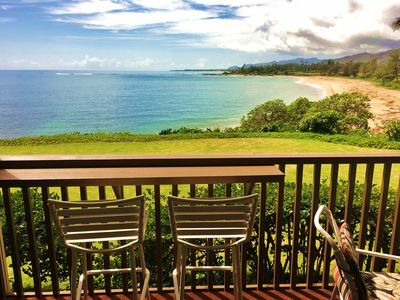 Plantation Hale Unit H2 features The Best 1-bedroom unit(as opposed to studio lodging units)on Kauai. 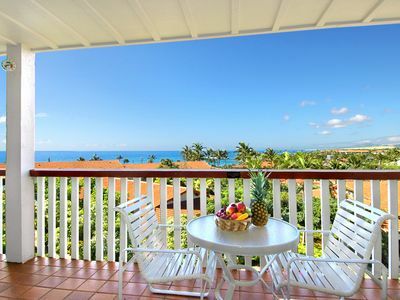 This is garden view unit, very quiet closest to shopping, the pool and Bar-B-Que. 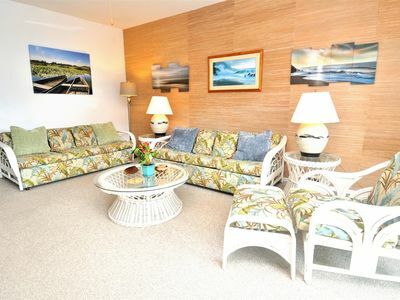 So comfortable and well situated..you will never want to leave. 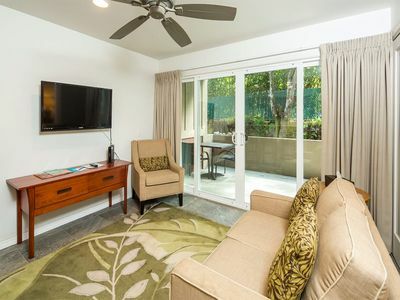 A ground floor unit, full furnished, equipped with two full-size beds in the bedroom and a sofa bed in the living room which would allow you sleep up to 5 or 6 people. Can you get better than this? You Bet. 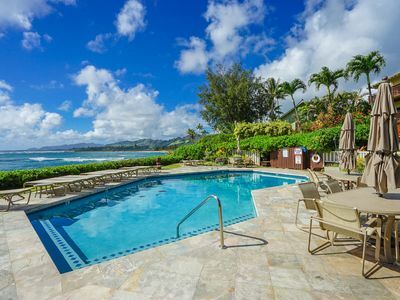 Your condominium is located in the Plantation Hale Beach Resort with its own activity center, it has 3 pools, shuffle board and a putting green in the heart of Kapaa town, which has great restaurants, and a wide range of tourist and local services are just steps away. The Coconut Marketplace next door has over 60 shops and great Family restaurants. Sometimes it's just nice to leave the car parked. Free parking and all phone calls including Canada will be provided. 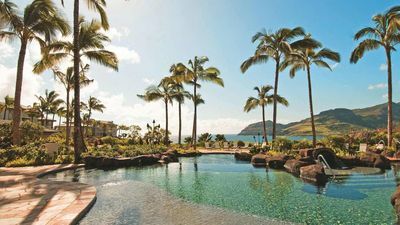 Complimentary champagne and yummy Hawaiian Macadamia chocolate will be provided upon arrival. 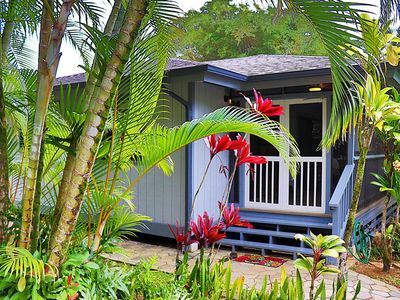 All the comforts of home are provided so you can truly relax, explore and enjoy the Kauai. 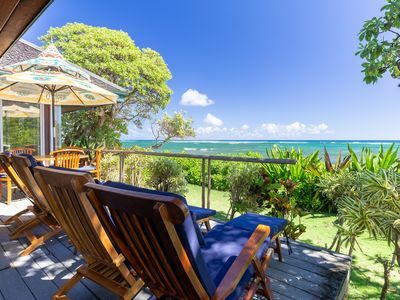 North Shore Anini Villa - Tropical Surroundings! 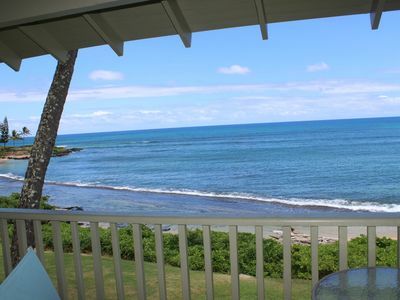 Oceanfront on Kauai starting at $140/night! 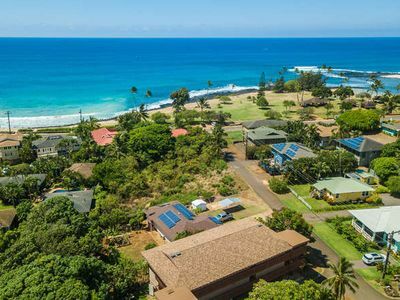 Kahanalu #5 FULLY Renovated *** WOW*** STEPS to POIPU beach w/ great AC! 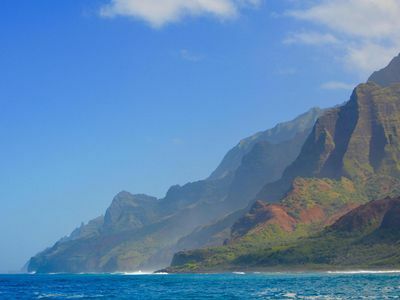 Views from Mauka to Makai! Large, well appointed home that can sleep up to 16! 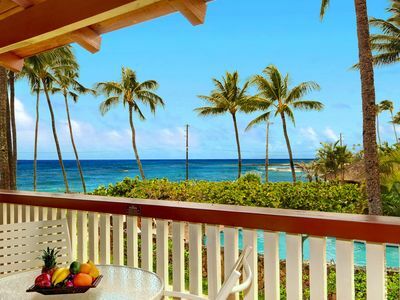 Healoha Hale: Watch the Sun Rise Over the Breaking Waves from Your Bed! 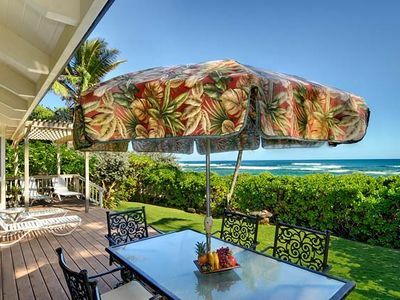 Islander on the Beach 259: Beach side island-style charm with AC, affordable! 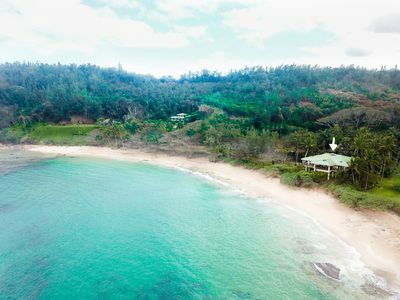 Beautiful 5 Bedroom plus loft for 12 Luxury Beachfront Estate on Over 2 Acres!